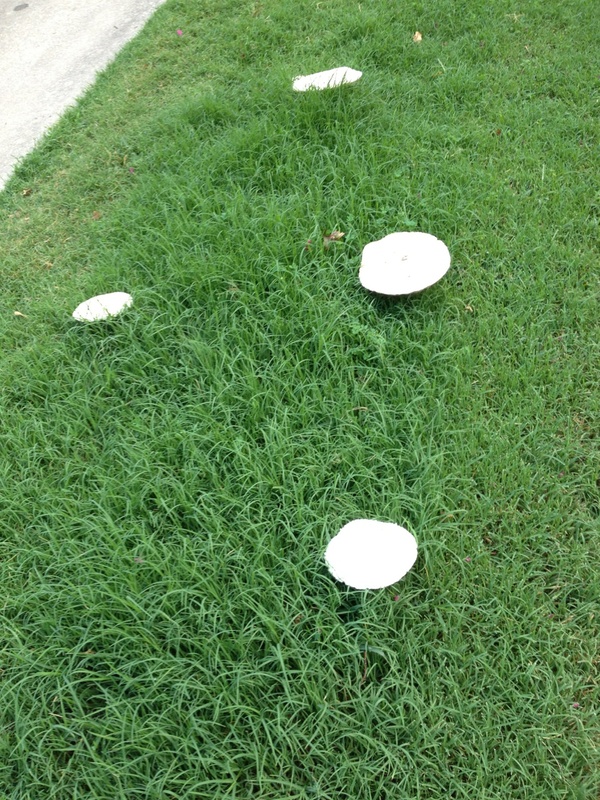 A crop of Annapolis mushrooms this morning. Muggy August weather here in Annapolis, Maryland means mushrooms in addition to sticky doors, damp clothes, and frizzy hair. 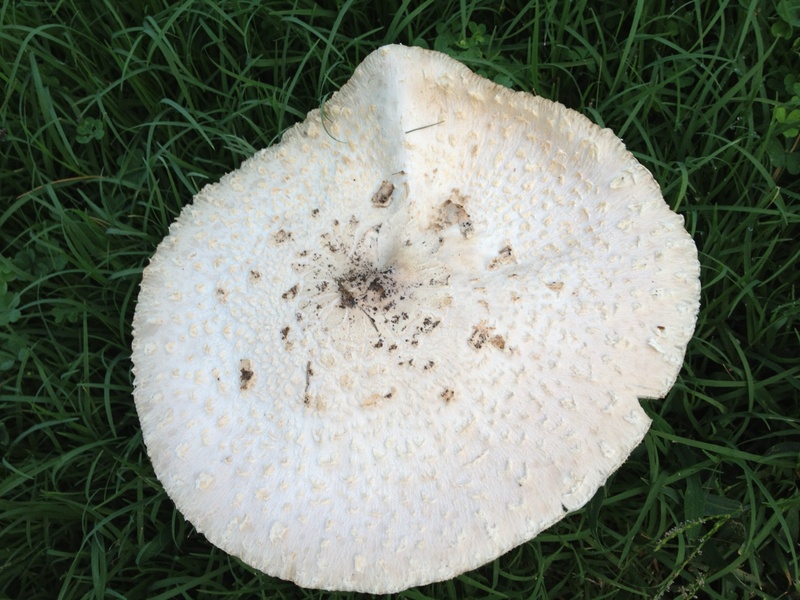 Well to be honest I’m not certain whether the crop I spied this morning on the front lawn were mushrooms or toad stools, but I’m sure they’d make good spore prints. They are definitely large in size. I saw many mushroom crops on my walk from Murray Hill to City Dock this morning and I’m sure I’ll see more mushrooms in the upcoming month. What fascinates me is how quickly they pop up. The texture and color is quite remarkable. 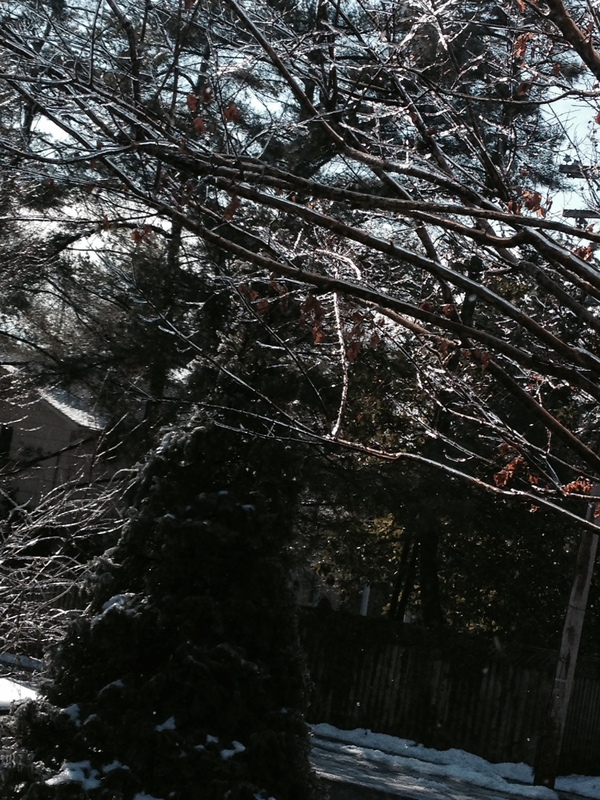 Yes, Annapolis, most folks have gotten their electricity back but unfortunately not everyone has. Here at the What’s Up? Media offices our building only has partial power. That means no air conditioning, pitch black restrooms, and a dark hallway. I brought in extension cords to hook up to some of the outlets that actually work and I’m staying cool with a colleague’s portable fan. She decided to work from home because of the heat. It is stuffy in here. Maybe that’s why some people driving the highways this week are in such a grumpy mood. We take our electricity for granted, until we have none. Be happy for the little things like ice and a flushing toilet. It takes a hurricane to make you appreciate what you’ve got. I didn’t realize how lucky I am until I went to work this morning. Well, what I should say is tried to get to work this morning. Although I did eventually get over to the office, after fielding bunches of phones calls and text messages, we did not have enough power in the building to run our computers or the phone system. So, I am back working at home as is the rest of the editorial department. Downtown, there is still a section of businesses that are waiting for electricity. Included amongst those waiting is City Dock Cafe where we always buy our coffee midway through our morning walk. They were still boarded up at 7:00 a.m. Also losing power was Eastport and various sections of Greater Annapolis, including the corner of 450 and General’s Highway near where my husband has his insurance office.On a day like today, you need to be able to open your office to answer all those claims questions. Neighborhoods like Epping Forest and Herald Harbor are used to losing power during storms, but it doesn’t make life any easier. Once again I am thankful for those small luxuries in life that include hot coffee, hot water, lights, and internet. 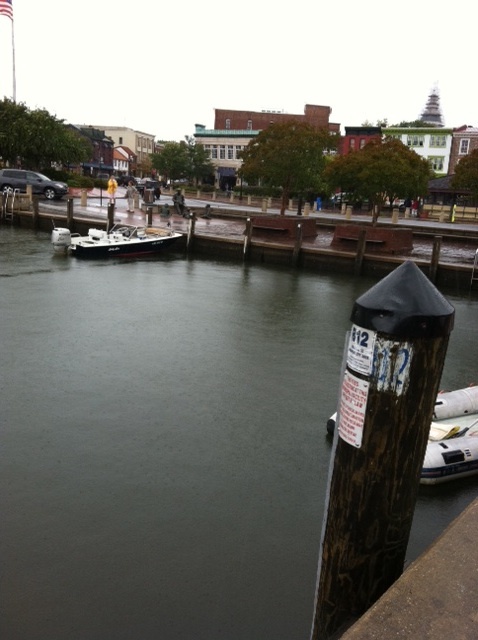 The wind took the water away from the shoreline downtown at City Dock in Annapolis, as evidenced by the low water level. There was no flooding this morning, Sunday August 28th. The water didn’t even kiss the feet of the Kunte Kinte statue. There was, however, a loss of power. Grover, owner of City Dock Cafe, was out greeting customers and apologizing that he had no hot coffee to serve. The coffee shop’s power went out on Saturday afternoon and at 9:00 am on Sunday was still out along with most businesses and apartments in the lower downtown area. In Murray Hill, we lost power for approximately one hour late Saturday afternoon, and once our ice chest had been filled to the brim with ice, the power was restored. I made my husband Peter take myself and daughter Alex out to dinner anyway because we’d been working hard all day packing up stuff in the basement, putting things into plastic tubs and labeling it all for future access while also doing four loads of laundry, just in case we lost power. More on that topic, in my “All About Antiques” blog. We walked up the road in the wind and rain, a couple of blocks to Fado’s which was pretty empty for a Saturday night. It was fun to get out of the house. The good news is, we’ve all got plenty of clean clothes and linens and nothing big fell down in our yard, although I may be losing internet as there appears to be a fallen branch in the neighbor’s yard that is leaning on the cable line. I am thus writing quickly! 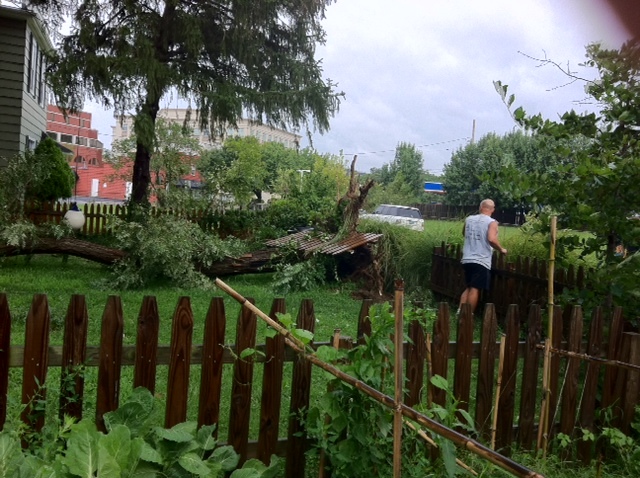 A neighbor up the street was not so lucky, as an entire tree uprooted itself and fell over in his backyard. Luckily no one or any structure was hurt. Driving rain, strong winds, and flooding are probably in store for us this weekend in the Chesapeake Bay region and residents are reacting by running to the store to buy quantities of batteries, flashlights, candles, food, and oh yes, alcohol. Why is it that when a storm arrives, people are ready to party? Well, why not, if you are stuck at home and have no place to go. While the DVR may not work for watching movies, due to lack of electricity, you may be able to gather round with family and friends to play board games by candlelight or tell ghost stories. So what should you be doing to get ready for the storm besides buying supplies. Well my husband just happens to be an insurance agent so he would be telling you to clean your gutters and drains. Safeguard your computers and any other sensitive equipment by storing it in a dry location, away from windows and doors. If you have items stored in the basement, get them off the floor and into plastic containers. Important papers and documents should be stored in dry airtight containers and back up all your computer data. Park you vehicles on high ground and away from trees that may fall, if at all possible. I remember when Isabel was here, it was amazing how many cars got flooded. Put it all in perspective and remember, if you do lose something to hurricane damage it is only a thing and not a person.